#### the background and borders of the element forming the stacking context. #### the child stacking contexts with negative stack levels (most negative first). #### the in-flow, non-inline-level, non-positioned descendants. #### the in-flow, inline-level, non-positioned descendants, including inline tables and inline blocks. #### the child stacking contexts with stack level 0 and the positioned descendants with stack level 0. 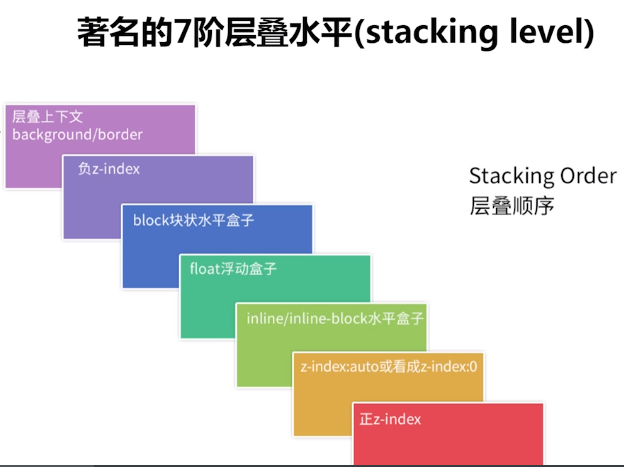 #### the child stacking contexts with positive stack levels (least positive first). inline tables and inline blocks. descendants with stack level 0.